Micro-grain carbide cuts fast and smooth with an edge that stays sharp longer. 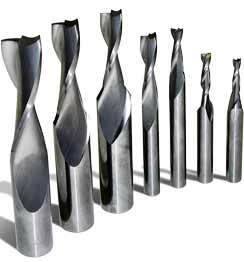 Spiral Bits produce a very clean and accurate cut with minimal chatter. SAVE $13! Sold individually for $97.95. Seven solid micro-grain carbide router bits! SAVE $26! 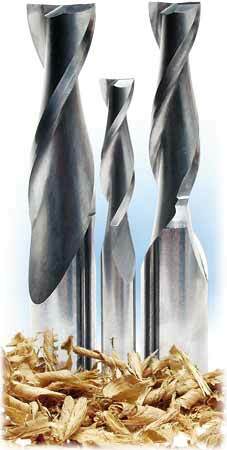 Solid carbide spiral router bits produce a very clean and accurate cut with minimal chatter. Item #5155 cuts grooves for #20 biscuits. #7468 can be used with a Leigh Jig.